I’ve been asked quite a few questions about Stephen Hawking following his death. Did he choose to spend his life in a wheelchair? Was he an old soul? Did he achieve what he came here to do? There’s no need to talk here about Hawking’s amazing mind, his scientific achievements, or his legacy. A quick search of Google will tell you everything you need to know. What I want to do is examine his spiritual purpose. Who was he, and why was he here? Let’s find out. So many of the world’s greatest inventions, insights, and innovations have sprung from the minds of Level 7 souls. But Hawking was much older. At Level 10, he was on the last cycle of lives as an old soul. More specifically, he was 70% of the way into Level 10, and that percentage is analogous to Level 7. A Level 10 soul at 70% is about creativity and innovation. And what surprised me most about Stephen Hawking was his soul type. He was a Creator type, with a strong Thinker influence. The soul of a scientist who chooses to be a Creator in this life, does so to help tap into the other side for divine inspiration. They don’t know it, but much of their insight is the result of channeling. Not surprisingly, Einstein was built this way. As was Andrew Wiles the mathematician who discovered the answer to Fermat’s last theorem, a problem that had baffled great minds for 300 years (I mention a bit about Andrew Wiles in my book, The Instruction). This Thinker/Creator combination allows even the most rational people to make leaps of imagination. 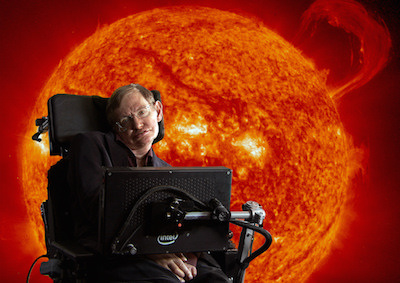 Having a Thinker influence made Hawking more cerebral than the next Creator. Many Level 10 Thinker types are atheists. The most common reason is that they reject religion, and reject spirituality along with it. Stephen Hawking’s life was one well lived. And, interestingly, it was never part of his soul’s life plan to get sick, and spend most of his life confined to a wheelchair. Despite his disability, he exceeded his soul’s expectations for this incarnation. I expect he’s been pleasantly surprised, now that he’s on the other side. I’m surprised about his illness not being planned. It was something big. Did it had any pupose with what he was here to do? How can something like this be random or not planned? Thank you, Ainslie. I was hoping you would be sharing information about Stephen Hawking. Found it fascinating. I also went on to reread some of your other blogs about those who have passed in recent years. I have read (and saw in person) Wayne Dyer, so was particularly interested in rereading your insights as it related to his soul’s purpose and journey. Appreciate your gift very much and how you share it with others. Blessings to you from Santa Cruz. This is a lovely tribute to Stephen Hawking. You have chosen his best qualities. I have come across much of his work and there is no doubt he has made a massive contribution to society. However, my overall impression was that he was quite stubborn and intransigent. When other physicists approached him with their work, he was not necessarily open to other ideas and easily dismissed them in a rather condescending way. My gut tells me he kept his intuitive side to himself believing it would be hypocritical to admit to himself or disclose where he gained many of his insights being a proclaimed atheist. 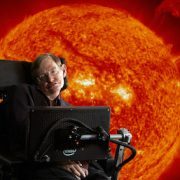 Hawking was a theoretical physicist, that takes enormous creativity (right brain). His ability to communicate his theories in a rational and intellectual (left brain) manner was a obvious demonstration of an old soul master at work. But I often wondered how famous he would have become had people not seen him physically disabled and a bit of an anomaly? Although ALS was not part of his life plan, it seemed to help get his message across by drawing the attention of others. There are many brainiacs living today. Some of them have made even larger contributions to the planet but never received the same level of notoriety. Always made me wonder how much the universe wanted Hawking’s messages to get across, whether he was conscious of that possibility or not, it certainly was a contributing factor and highly effective!